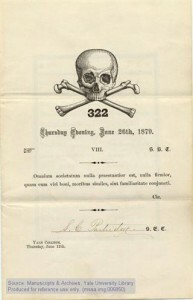 Kevin Thompson of Cyberlaw Central, at considerable risk to life and limb, does a Skull-and-Bones themed Blawg Review. As a Princeton man I have my issues with this. But as a family man, I would not dare utter them.